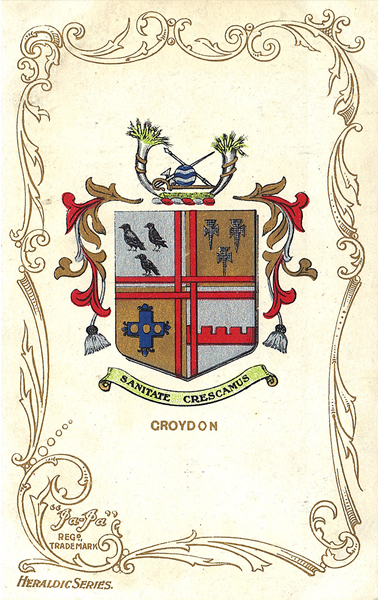 This map covers the southern end of Croydon, from St Peter's church and South Croydon station southward to Bynes Road. The Brighton Road and LBSCR railway run north-south through the centre of the map, and features include Haling Park, Pampisford Road, Selsdon Road station, Croham House, Breckneck Hill, Crohamhurst. On the reverse are street entries for Brighton Road, Bynes Road, Croham Road, Crunden Road, Haling Road, Sanderstead Road, Selsdon Road. You might find this Index map useful. The map links up with Surrey Sheet 14.10 Central Croydon to the north, 14.13 South Beddington to the east, 20.02 Purley Oaks to the south.